Dinosaur BBQ is now a chain with 7 locations, but back in the day the original, in Syracuse, NY, was not the place you’d take your wife for dinner before a weekend with her friends and their babies. 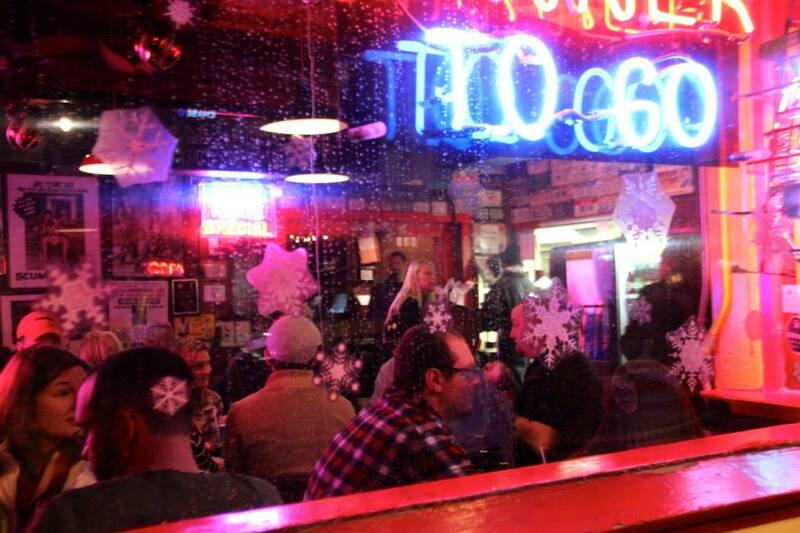 In the last ten years it has gone from biker bar to group hang out spot, but the decor is still pretty honky tonk, with license plates and signs that read “temperance ignored here” on the walls. 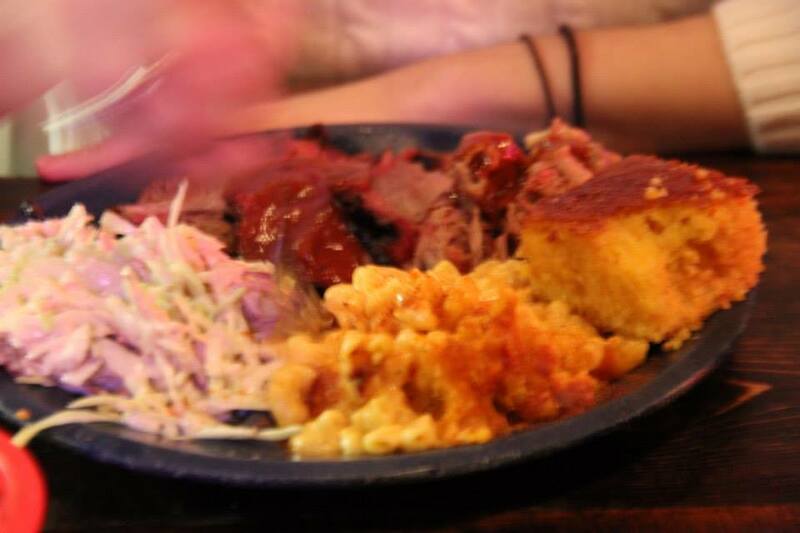 The food is quick and rich – brisket, pulled pork, ribs, fried green tomatoes, deviled eggs, cornbread. I had brisket and pulled pork with a side of mac and cheese and coleslaw, and while it was all good, I particularly enjoyed the brisket- tender without being fatty – and the mac and cheese. Most BBQ joint mac is dry and tasteless, but this is something you want a full bowl of. Judging by the amount of hits you get by googling “Dinosaur BBQ mac and cheese recipe,” it looks like many have tried to imitate it, and for good reason. If you’re driving through Syracuse, this is a must stop destination. Otherwise, you might want to try the Harlem or Brooklyn locations.